An exhilarating first trip to Israel in which you will experience all of the main historical and cultural sites in eight nights, taking in Jerusalem, the Judean Desert, the North, and Tel Aviv. Our guides are highly educated individuals, who are also capable of telling a great story, and breaking down complex histories, chronologies and more into digestible information. This sample itinerary can be tailored to you and your family’s precise requirements and interests. That is what the Israel specialists at Pomegranate Travel excel at! We hope you had a good flight. 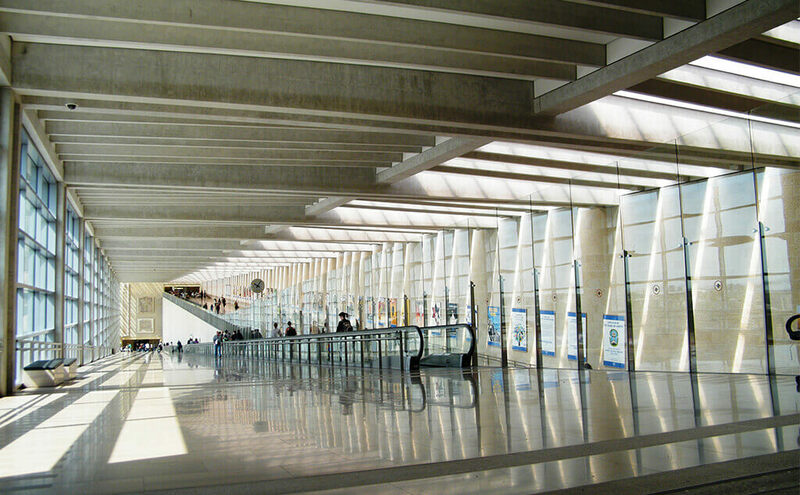 Arrive at Ben Gurion International Airport where you will be met by our representative. You will be driven to Jerusalem in a comfortable air-conditioned vehicle with plenty of room for luggage. This morning you will meet your guide in the lobby of your hotel. Following introductions your private tour will begin! 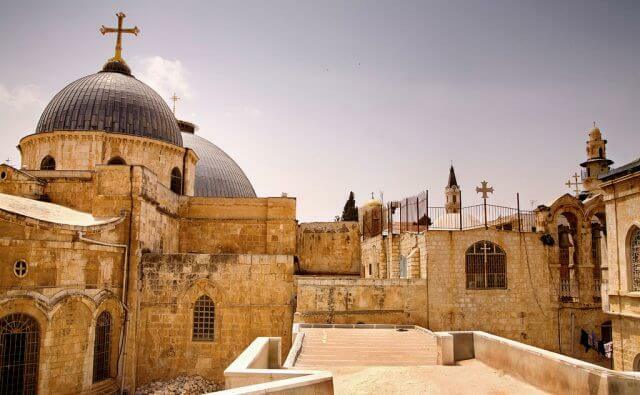 A full tour of the Old City of Jerusalem will introduce you to this place of intense sanctity to Jews, Christians and Muslims, where holy sites tumble over each other. Your expert guide will unpeel layers of history and provide an overview of what Jerusalem means to the three monotheistic religions. 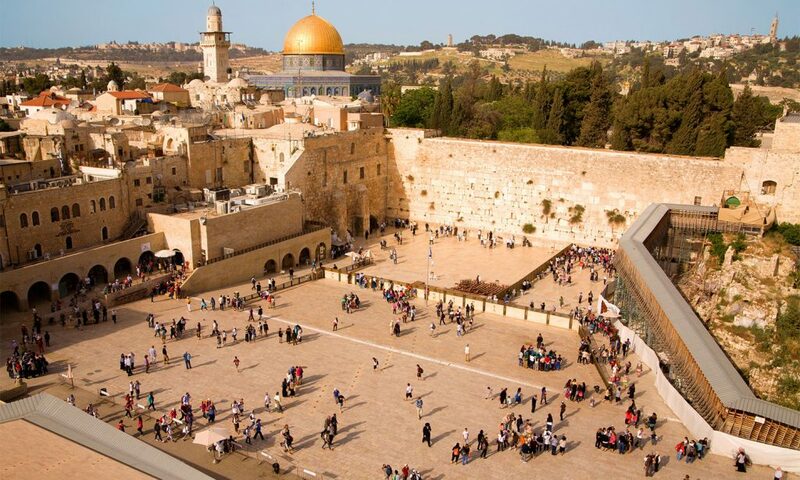 Amongst other sites, you will visit the sites most holy to these three faiths, the Church of the Holy Sepulchre, the Kotel (Western Wall of the Second Temple), and you will view the Dome of the Rock. 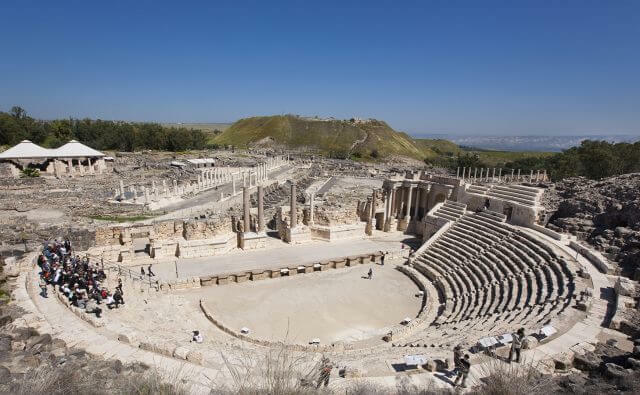 During your tour today your guide will focus not only on the three monotheistic religions but also on Roman history in Jerusalem, for example focusing on the Cardo and the remains of Herod’s Temple. As stunning as the Old City of Jerusalem is, no visit to Jerusalem is complete without also delving into the treasures of the New City. 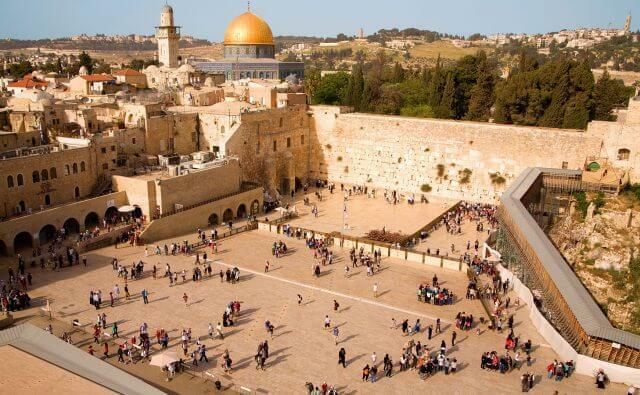 Highlights include a visit to the internationally acclaimed Israel Museum, home to the Dead Sea Scrolls (the Shrine of the Book), and the celebrated model of Second Temple Jerusalem. The Israel museum also offers an extremely impressive standing collection of archaeology and art, including contemporary art. Yad Vashem, Israel’s monument to the Holocaust, is weighty and important, and well deserving of a visit. Most visitors find this an extremely emotional experience, and particularly meaningful in the context of the history of the State of Israel. 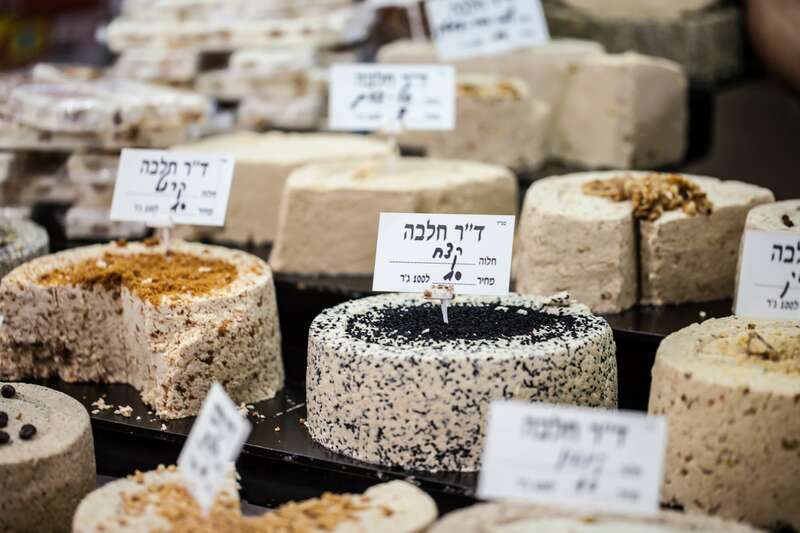 It is uplifting to visit Yad Vashem and then continue to Mahane Yehuda market, where you will find yourself surrounded by the colourful hustle and bustle of life which continues after tragedy. The market offers a plethora of sights, smells and tastes – yum! This morning your guide will meet you in the lobby of your hotel. Arguably Israel’s most dramatic site, Masada’s mountain top ruins, set against the extraordinary backdrop of the Judean desert, are but a stage for the retelling of an heroic and ancient tale, now engrained in national mythology. With your expert guide as storyteller, you will hear about the lives of the final Jewish resisters to Roman rule, relive their struggle against the mighty Roman army, and wonder at their heroic end. 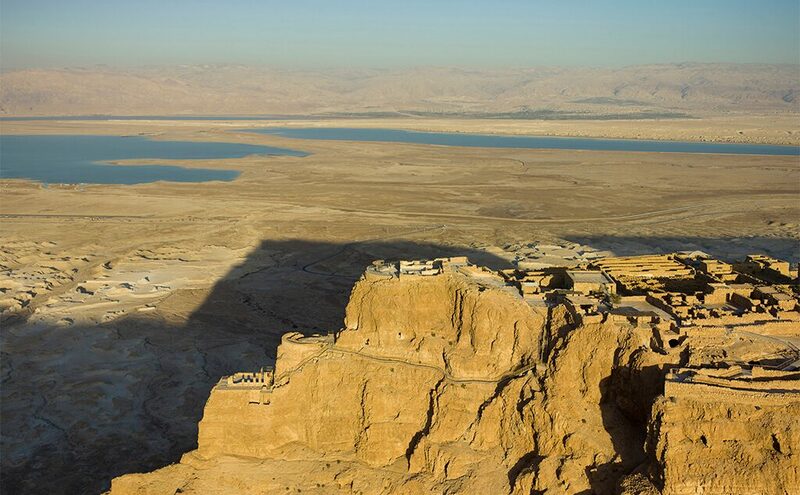 Masada is a totally unique site, well deserving of its UNESCO world heritage status. you minerals and surrounded by air which is naturally rich in oxygen, the Dead Sea should leave you feeling full of energy. Please take flip flops along for the Dead Sea, and avoid taking your best bathing suits as the minerals in the water may damage the material. This morning check out of your hotel in Jerusalem and drive North with your expert guide, viewing the following places before checking into your hotel in the North. Your guide will take you to an incredibly beautiful site – Zippori, described by Josephus as “the ornament of the Galilee”. Zippori was the Galilee’s major centre of commerce from the time of the reign of Herod, through the birth of Jesus, and it is probable that Jesus would have worked in Zippori as a craftsman. In Jewish terms, Zippori is hugely important as the place where the Mishna was redacted by Rabbi Yehuda HaNasi in 220 CE, and modern Judaism was therefore given shape. 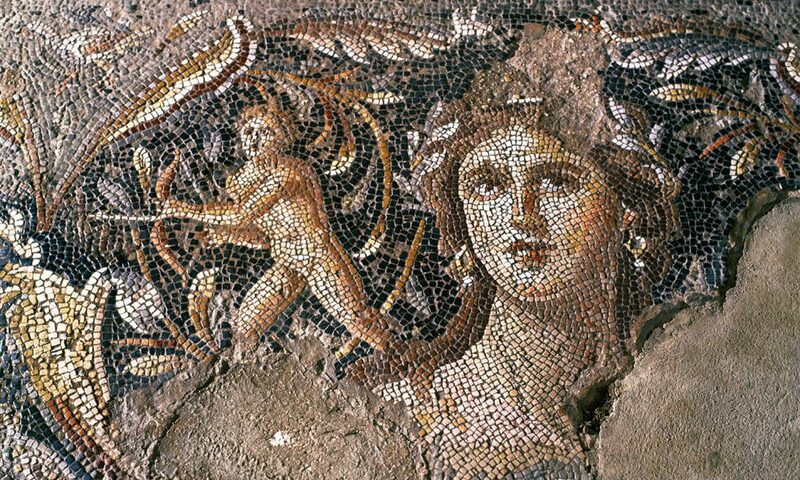 Evidence of the city’s former glory and sophistication is today seen in the stunning mosaic floors which remain. 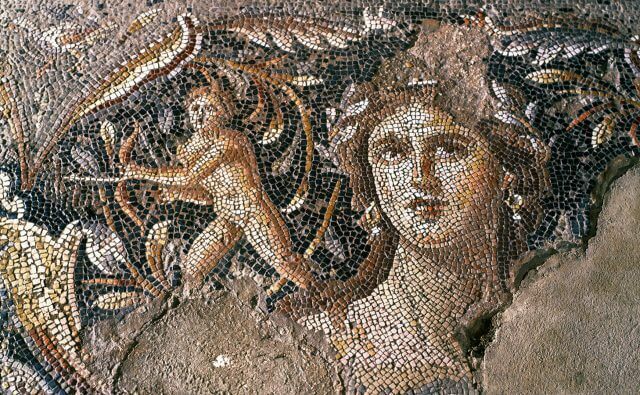 Of major interest are the ‘Mona Lisa of the Galilee’ (pictured below), the Nile Mosaic, and the floor of the 6th century synagogue. Zippori’s remains also include a Crusader fortress and Roman theatre which once seated 4500 people. 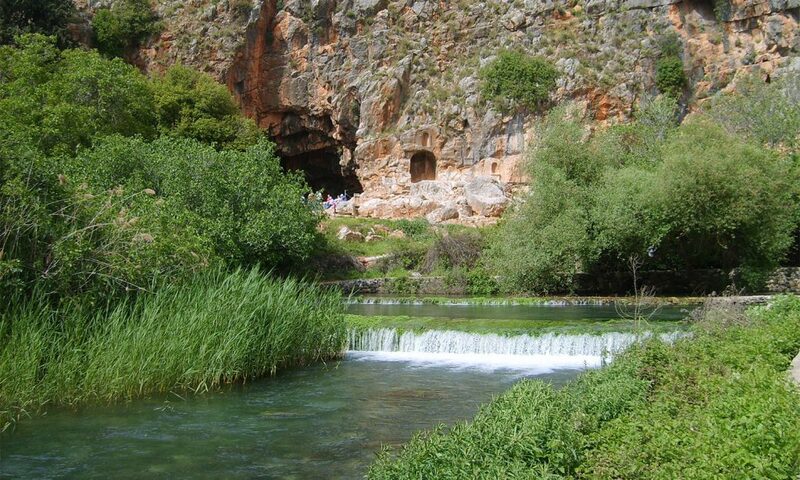 In Christian heritage the site has significance as the town of origin of the Virgin Mary and her parents. Next for a one hour tour of Kibbutz Degania Beth. The tour will provide you with real insight into the history and present day reality of kibbutz life. 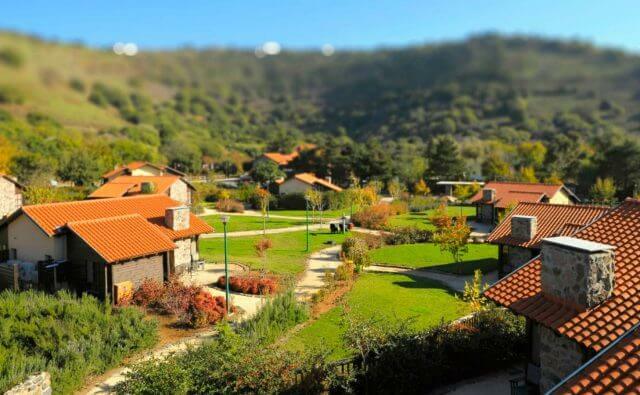 You will learn about the theoretical foundations for the kibbutz, both socialist and Zionist, about the important role which the kibbutzim played in the history and defence of the young state of Israel and about the current day challenges they face. You will also visit the kibbutz archive which is found in the home of Eshkol Levi, the former prime minister of Israel. The archives contain fascinating material relating to the early days of the pioneer movement generally and Degania Beth specifically. 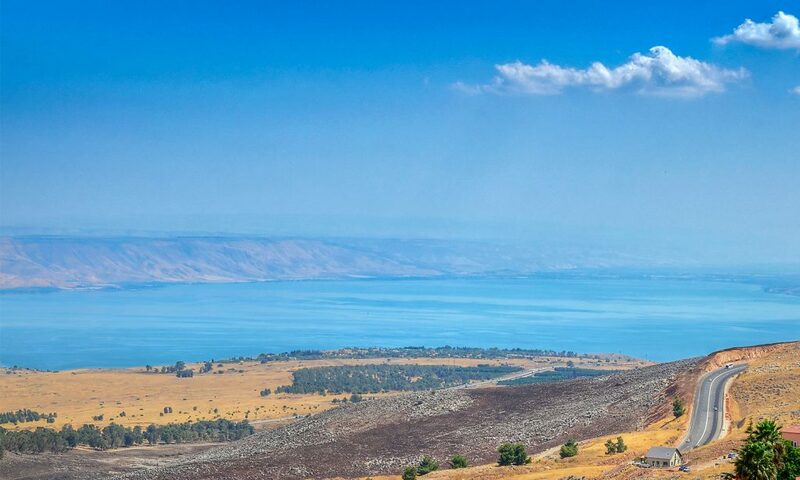 Lastly, you will tour the Sea of Galilee area. Ancient Jewish communities thrived around the Sea of Galilee, as testified by several remains of early synagogues, examples including those at Capernaum, (and also Chorazin, and Hammat Tiberias which are viewed on longer tours). It was amongst these communities that Jesus chose to live and preach, and the area is therefore also replete with important Christian sites. Your expert guide will lead you to key sites including the Mount of the Beatitudes (where tradition holds that Jesus delivered the famous Sermon on the Mount); Capernaum, interesting for both the early octagonal church built around the house of Peter, and for the later and ornate 5th century synagogue; and the “Jesus Boat”, a boat dating back to the time of Jesus, found and now exhibited at Kibbutz Ginosar. We love the boat for the air of mystery which hangs over it –together with your guide you will be able to discuss who the men (or women?) were who sailed the boat 2000 years ago. Was it a fishing boat used by disciples of Jesus? Or a military boat used by Jewish resisters against the Romans? Thinking about who owned the boat, and what it was used for, helps us to consider the various different communities living around the Sea of Galilee at this crucial time in history. High up in the Golan, on the ridge of Mount Hermon, lies Nimrod Castle, an abandoned Crusader period castle. Here you will be presented with a fantasy landscape. The castle is huge, and beckons to be explored. 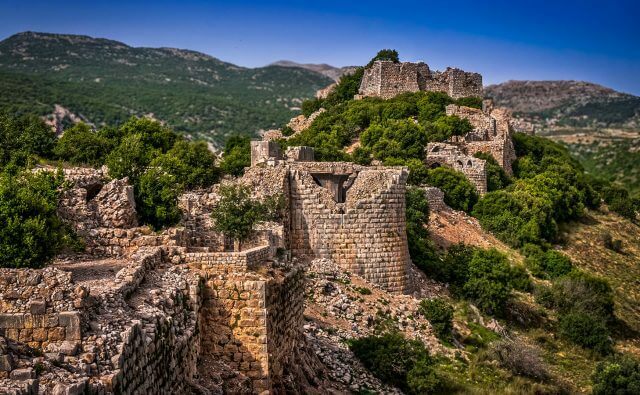 As your guide will explain, although Crusader in period and style, the castle was built by by Al-Maliq al-‘Aziz ‘Othman in 1228 in order to block the passage of Friedrich II who threatened to march from Acre to Damascus flying the Crusader banner. It was extended and aggrandised by the Mamluk Sultan Beibars, whose insignia remains on a huge stone tablet. This is a massively exciting site which sparks the imagination of all who visit it. Mitzpe Golani (also known as Tel Fahar) was the site of arguably the most important Golan region battle of 1967 and was the foundation for Israel’s taking the Golan Heights in that war. From this view point you can easily see how the position overlooks the kibbutzim of the North of Israel, and its corresponding strategic importance. This was a terrible and bloody war for Israel, and today you can still see and go down into the ditches from the 1967 war. 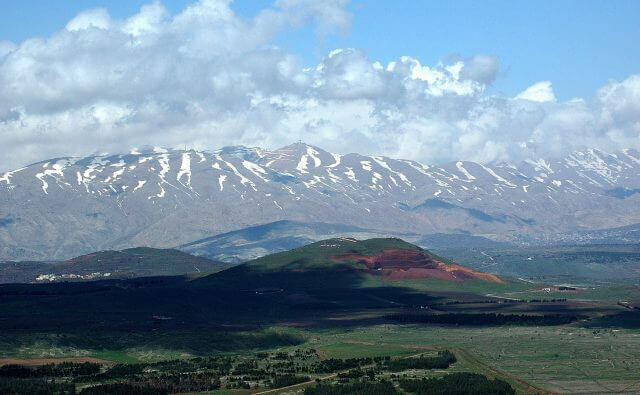 This is also an ideal place from which to discuss the formation of Israel’s Northern borders with your guide – the discussion will extend back to at least the Sykes–Picot Agreement and the 1920s, to the 1947 UN partition plan, and eventually to the lead up to the six day war of 1967. 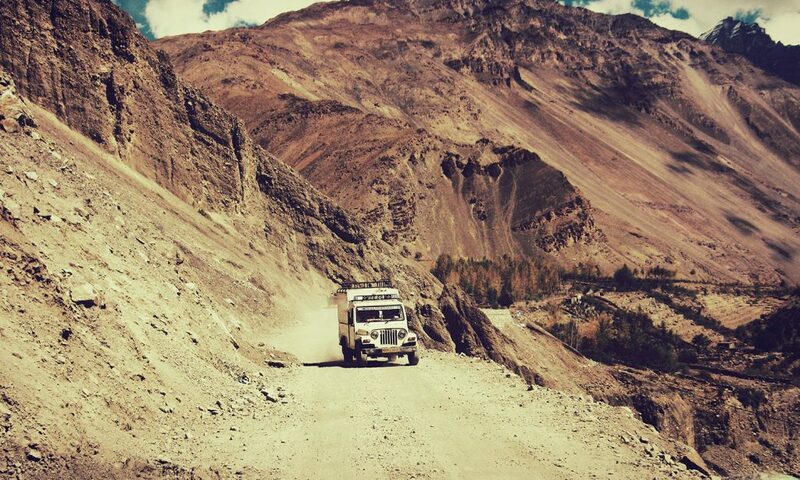 This two hour jeep ride is a fascinating and intense ‘off the beaten track’ experience. Your expert guide will drive you through a working agricultural kibbutz, explaining about the pace and style of life in this region of Israel. You will also explore the history and current day reality of kibbutz life from the historic ‘childrens’ house’ system to today’s need to diversity and modernise. You will then drive off road into the demilitarised zone and along the Syrian border (security conditions allowing), viewing hidden Israeli army bunkers and positions. Your expert guide will provide background on Israel’s historical and current relations with her northern neighbours, together with an in-depth analysis of today’s complex situation in Syria and what it means for Israel. 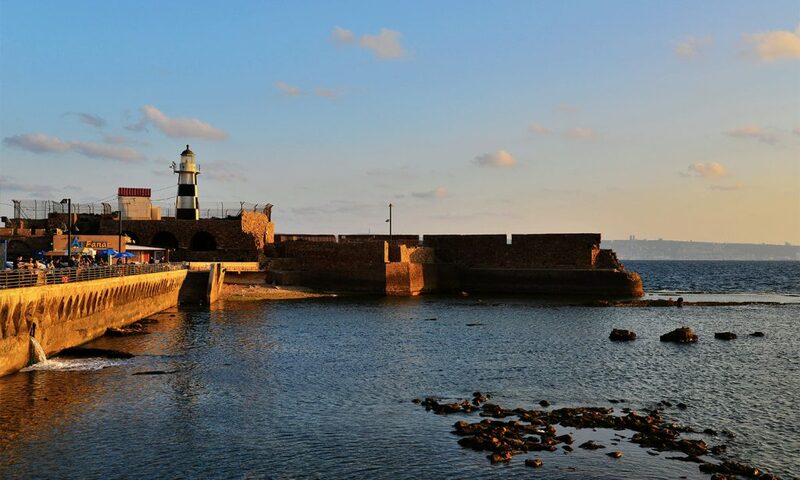 The Old City of Acre (Akko in Hebrew) is well deserving of its UNESCO world heritage site status. 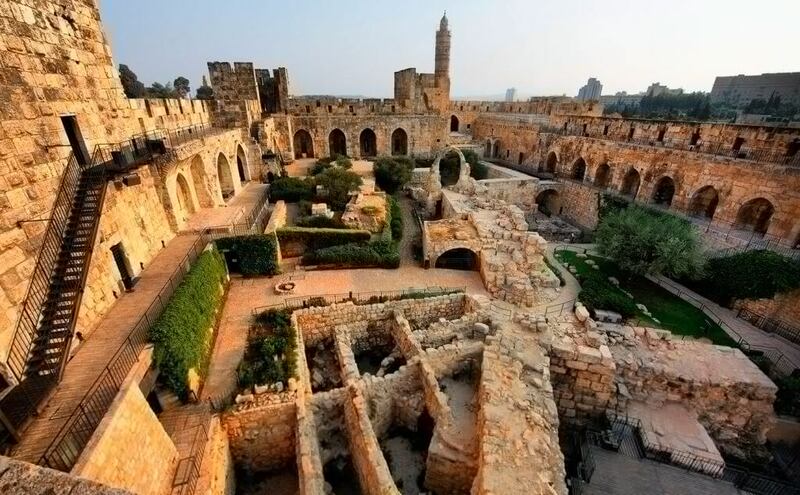 Acre boasts stunning Crusader remains which are so complete you’ll feel transported in time. As your guide recounts Crusader tales, you will marvel at the halls of the Knights Hospitalier, and “escape to the sea” through underground runaway tunnels. Time allowing, together with your guide you might also explore some of Acre’s more varied treasures – the exotic thriving Arab market, the second most holy mosque in Israel (home to a hair from the beard of Mohammed), and the newly renovated Underground Prisoners Museum which commemorates Jewish resistance fighters imprisoned, and sometimes executed, by the British during the Mandate period. 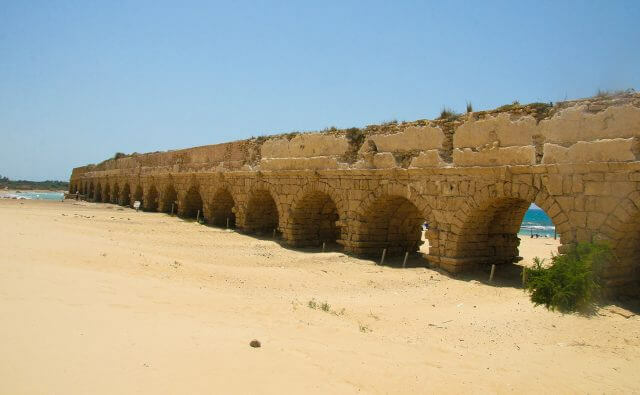 Caesarea was King Herod the Great’s imposing port town, where Rome was honoured with temples, gladiators fought each other to the last, and games were played in celebration of the King and the empire. 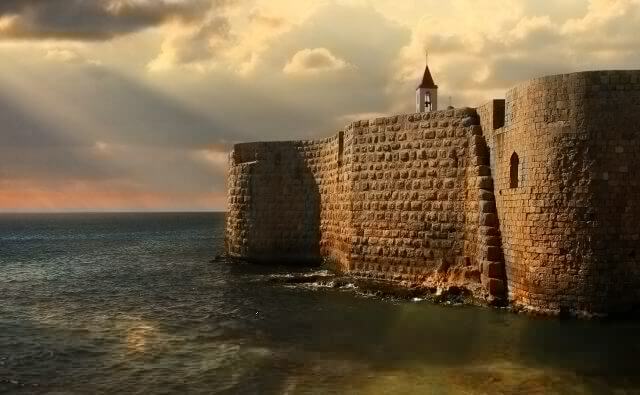 Later, Caesarea became a thriving Byzantine town, and then a Crusader conquest, each civilisation leaving its archaeological gems. For Christians Caesarea is of significance because of the stone tablet found near the amphitheater which is inscribed with the name Pontius Pilate, and dedicated to Tiberius Caesar who nominated him as procurator. Caesarea is also the place where the Apostle Paul was sent to stand trial, and as a Roman citizen demanded judgment in front of the Emperor. Your expert guide will tell the tales of this once centrally important place, while you enjoy the fresh sea air. 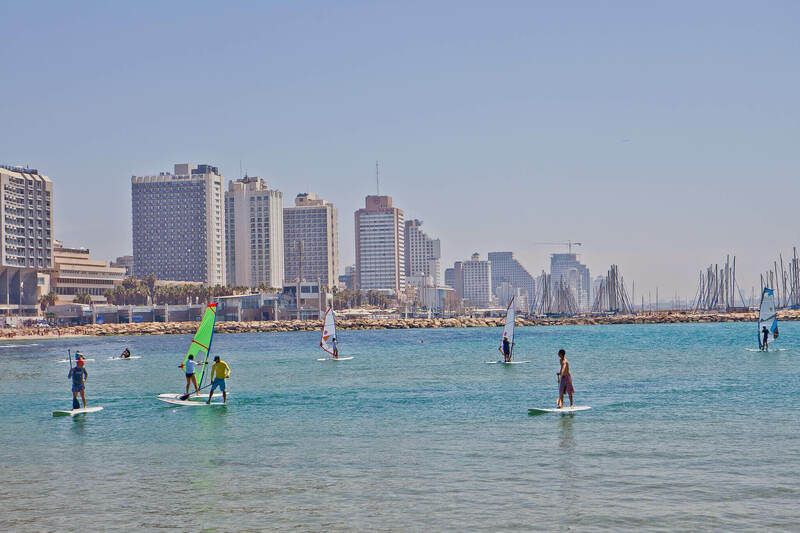 Ancient Jaffa and modern Tel Aviv are wonderful to tour together because of their contrasts. 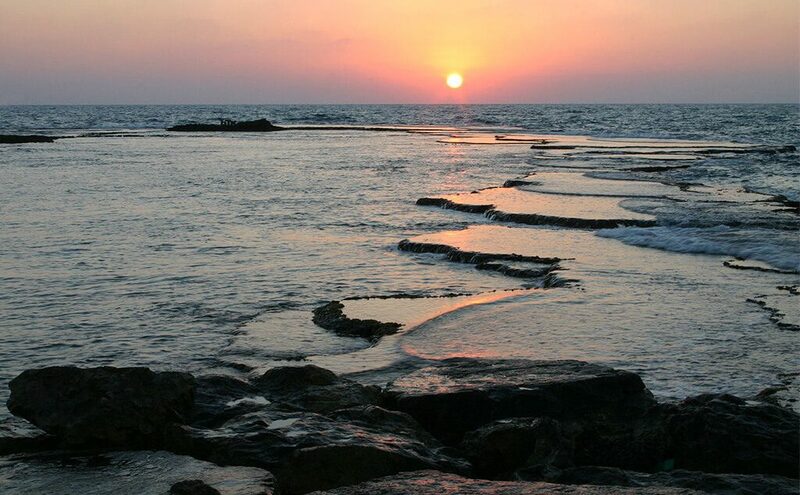 In Jaffa you will explore one of the most ancient ports in the world, replete with history from Biblical, ancient Egyptian, Roman, Napoleonic eras and more. 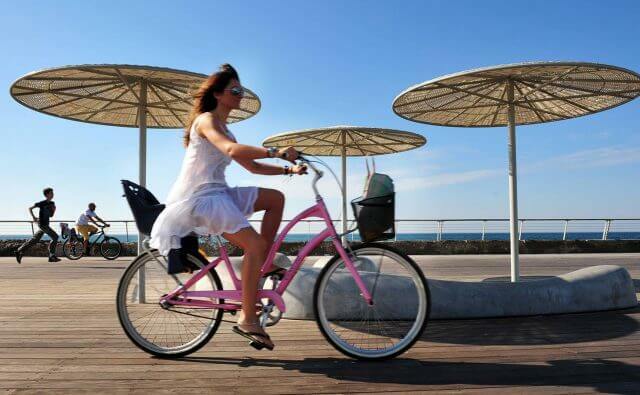 Visiting Neve Tzedek, Tel Aviv’s prettiest and oldest neighbourhood, you will hear the story of the city’s beginnings – how the first modern Hebrew city was moulded out of the barren sand dunes in an out-pouring of ideological vision and determination. You will make your way through the colourful and bustling Carmel Market, full of additional tasty treats! The very great variety of foods reflects the fact that Israel is an immigrant society with citizens who have come here from the four corners of the earth (please note the market is closed Friday afternoons and Saturdays). Continuing into more central Tel Aviv you will visit Rothschild Boulevard and Independence Hall (from the outside) where David Ben Gurion famously declared the independence of the modern State of Israel. You will note the various architectural styles of the buildings from eclectic to Bauhaus, and hear stories about the waves of immigration who designed and created these remarkable buildings. The Bauhaus buildings are internationally significant and Tel Aviv’s UNESCO world heritage status is thanks to them. Today is your final day in Israel. Check out of your hotel, and enjoy your remaining time in this extraordinary country, before your flight home. 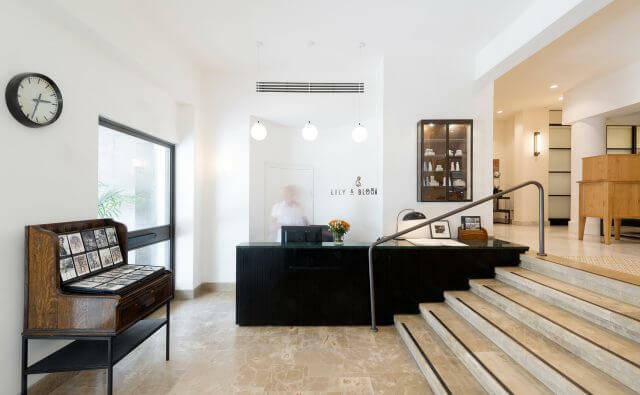 You will be transferred from your hotel in Tel Aviv to Ben Gurion Airport in good time for your flight, in a comfortable air conditioned vehicle. 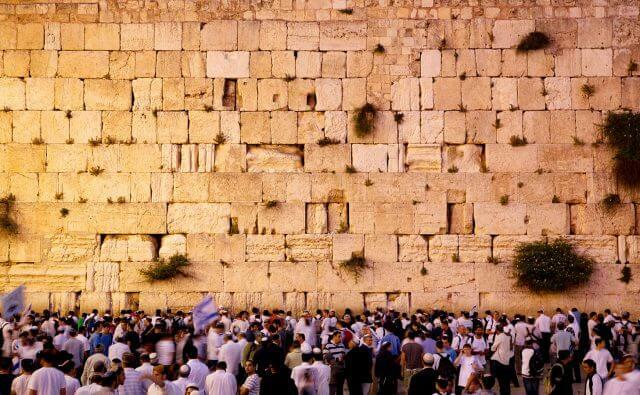 We hope that you will be leaving Israel with many special memories and that you will come back to visit us again soon. One of the most memorable, fascinating, enjoyable and profoundly moving trips I’ve ever done. The guides were uniformly excellent, the food sensational, the sites unparalleled, Pomegranate’s attention to detail and desire to go above and beyond hugely admirable. 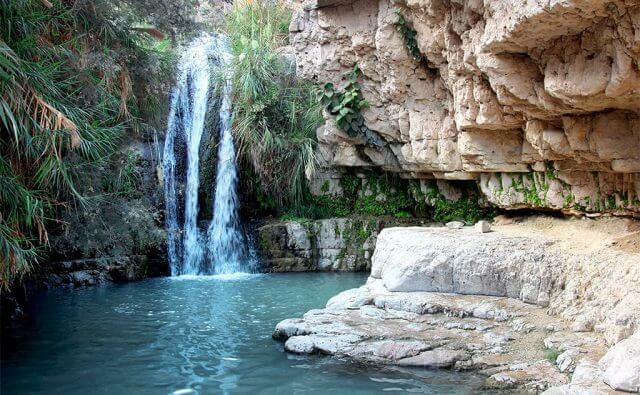 This itinerary can be extended with extra nights in Tel Aviv, the Negev Desert, or a visit to Petra. Our team: We are Hiring!